James Shields is waiting by the phone hoping it will ring. Going into the MLB off season he was one of the biggest free agents out there ready to offer his services to the highest bidder. But something happened on the way to the bank and Shields is still waiting for the Brinks Truck to show up at his house. Jon Lester signed with the Cubs for 6 years at $155 million, Max Scherzer signs 7 years at $210 million and Shields still sits there waiting for his phone to ring. Why is Shields still left unsigned when teams are finishing their off season plans and packing their bags for spring training? 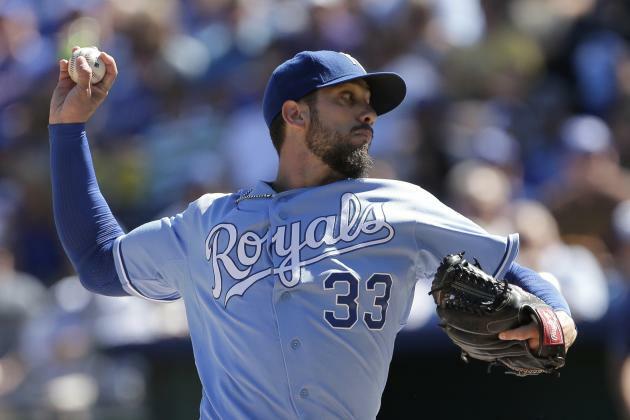 The answer is that teams around baseball don’t know what to make of James Shields. Is he an ace, is he a workhorse, or is he a 33 year old pitcher asking for long term deal and a ton of money, who never had number one stater type of numbers? The answer to all of these questions are, yes. James Shields is an enigma that baseball can’t figure out today. In years past when a free agent like Shields hit the market, teams would stand in line with bags of gold to hand out to players. Teams valued veterans who put up number and could teach younger players on how to play the game. The vet could bring out the best in the youngster who might melt in the spotlight of the big leagues. Every young fireballer needed a veteran voice in his ear telling him mix in a curveball, learn how to throw a changeup, don’t strike everyone out, get a grounder to short and get out of the inning. Every great staff seemed to have that veteran that would lend his experience to the kids on his team to help them reach their potential. Shields has been that type of player even when he was a youngster. With the Tampa Bay Rays, he was a veteran that helped pitch his team to the World Series. There were guys with better stuff on that team, Scott Kazmir, Matt Garza, and of course rookie David Price. In 2008 he had a total of 52 games under his belt as a starter yet he was the leader of the staff that won the first pennant in team history. He set the tone for the rest of the staff, and led by words and example. Six years later he led the Kansas City Royals to the World Series in just his second year with the ball club. Once again there were guys with better stuff than Shields, the bullpen trio of Kelvin Herrera, Wade Davis, and Greg Holland were treated like rock stars as the Royals won the American League pennant for the first time in 21 years. The Royals were an interesting team with a staff that started all but 11 games last season. Shields was tied for the lead in wins last season for Kansas City with 14. What he did for the team’s pitching staff can’t be shown in numbers or on the spreadsheet, or quite honestly in wins and losses. That is where the questions start to come at Shields like 100 MPH fastballs. 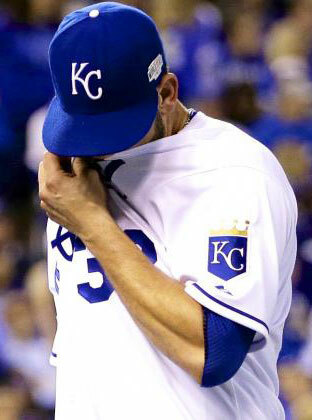 The last image fans have of James Shields was going 0- 2 in the World Series loss the Giants. His critics will point to his 3-6 lifetime post season record with a 5.46 ERA. The most wins he piled up in one season has been 16 in his last season in Tampa Bay. In nine plus seasons he is 114-90. Compare that to Lester’s record of 116-67 over the same time span or Max Scherzer’s 91-50 record in his first seven season in the big leagues. While Shields played on two really bad ball clubs his first two years with the Devil Rays, and Lester joined the Red Sox while the team was on roll, the difference between their won loss record is eye opening. When you look at the two bad ball clubs that Scherzer broke in with his first two years in Arizona it gives you even more to chew on. Shields’ biggest stat that his supporters can point to is his 200 plus innings pitched for almost all of his career. Is that enough to get him the big payday he was looking for, probably not. According to Fangraphs.com his K/BB ratio was 4.09 last season rebounding from his career worst 2.88 in 2013 and better than his 3.54 lifetime numbers. His velocity has remained consistent and he has made the adjustment from being a fastball, change up pitcher to one that has added a cutter and a breaking ball that keeps hitters honest. The one red flag you can see with him is when he fights himself sometime over throwing when he is too amped up and starts leaving the ball up. So what is James Shields? A guy who has led his long suffering team from the outhouse to the penthouse or is he an ace type pitcher that will take the ball when ever asked and slug it out with the best of the best in the American League who can go pitch for pitch with most everyone’s best? Is he a winning pitcher that is 24 games above .500 that makes him just above 2.6 wins above .500 each season over his career? His career WAR from Fangraphs.com is 31.6 while Lester’s WAR is 35.4 and Scherzer comes in at 27.0 in two less seasons than the other two. To me it says you can’t calculate his worth by WAR or ERA or Won Loss record. There have been pitchers with numbers more gaudy than Shields, that have never been to the World Series, much less taken two doormats to the Fall Classic. His value isn’t one of Sabermetrics, his is more feel of the game, and that is why no one has figured out what to offer him. The Giants need arms, and so do the Padres, Red Sox, Yankees and just about everyone else. So why is my twitter feed blowing up with teams that are saying they are out on Shields? Because he doesn’t fit in a spreadsheet, that says pay him X. Is he an Ace who will win you 20 games, nope. He is a guy whose best stat is amount of innings pitched. He is a GM’s worst nightmeare. He is a guy you can’t have your baseball ops guy value because was he does, honestly does add up in baseball today. He is a guy that a GM has to have a gut feeling about, a guy that will do all things that get you to playoffs. A guy who makes everyone else around him better, and that is why he is an enigma, because no one has a sabermetic formula for that. My suggestion, the Blue Jays should call him and give him $80 million for 4 years with a team option for 20 million in year 5 with a buyout. Why Toronto? Because they are on the clock for the longest streak of staying home during the post season and he is a guy that has broken numbers like that.